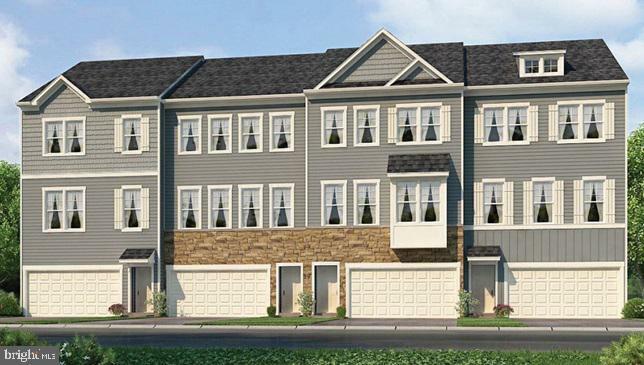 NEW townhome to be built in Dowlin Forge Station within the Award Winning Downingtown School District. This base model will include 3 bedrooms, 2.5 baths, 2 car garage, and 3 levels of living space! An open layout on the main level with 9ft ceilings and a bright kitchen featuring an island and stainless appliances. Adjoining dining room. Upstairs, the owner's suite includes a walk-in closet and private full bath. Additional highlights include 2 nicely sized bedrooms, hall bath, and laundry room on the upper level. You will not only enjoy your home, but your commute as well. Dowlin Forge Station is conveniently located near Routes 282, 30, 322 and PA Turnpike. Please note that photos show a similar Auburn model and include additional features and finishes not available in this home.